a lot of variety and choice in modern music but, to me, I do not feel there is as much as there should be. I can accept there are a lot of genres and different artists working away but if you take a genre like Pop and Rock and, really, how much spread and difference does one encounter? Music is less about personalities and people than it is sound; because of that; it is about what is being put out. I feel like there are some standout artists but so much of what is coming out today is playing along the same lines. I think about Louis Centioni and there is something there to recommend. I will talk about variation and personality in musical terms and then move on to songs that have common themes but a distinct mind; Jazz and a genre that is being reinvented and inspiring new artists; nostalgia in terms of sounds and people and, to end, I will look at Centioni and where he might head. Maybe I am being hard on the new crop but I miss the days when you could encounter someone like the Beastie Boys or Nirvana and you’d have a completely different and fascinating proposition. In terms of what is about now; there are some mainstream artists that provoke that sort of intensity and intrigue as them but it is harder for the unsigned and underground. What with the sheer volume of artists and how difficult it is to stand out; I tend to find, on paper, many come across as very familiar and limited – you have heard it all before and it can be quite deflating. This will happen a lot and it is one of the worst things about what I do. I often wonder whether it is worth carry along this road and what fascination will come. Luckily, with Centioni; there is something in the locker that stands out in the mind. 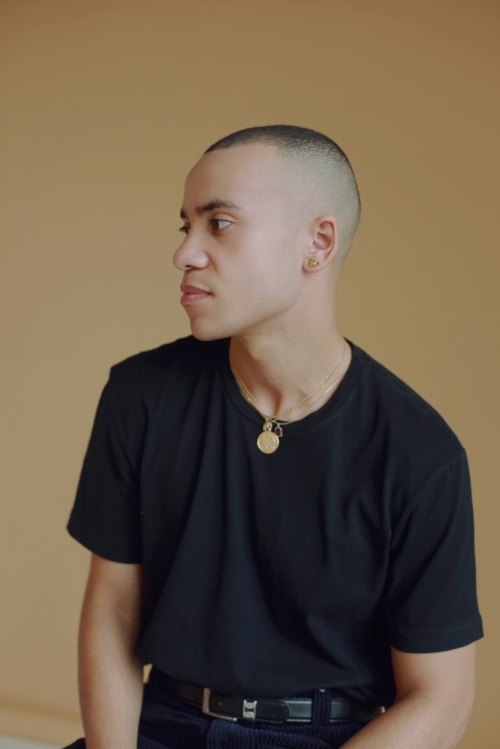 Whilst I have not found a Beastie Boys or Nirvana in new music – and need to broaden my scope so I take in the likes of Rap, Hip-Hop; Jazz and other genres – I think the songwriter has a lot of potential and seems to embody promise. What appeals to me, in his case, is the blend of components and lines that go onto the page and how they translate into the music. I will talk about his latest track in a because, when it opens up; you really get a sense of an artist who wants to stand out and who does not follow the pack. I think South London and T.V., strangely, seem to come together in Here I Go Again. 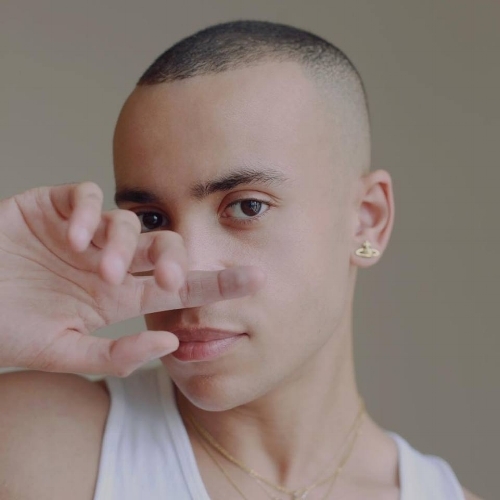 Maybe different inspirations infuse his other songs but, on his new cut, you can get a sense of what is happening in the capital and splice that with something dramatic. Again, like new artists; I am always wondering whether there is something samey about London and its sound. I live here but I feel the media pays far too much attention on it and one gets the sense that nobody can look past it – as though the centre of the universe is in the capital. Whilst, historically, London has pulled its weight; I think we all need to look to the North and realise the U.K. as a whole is as important as London. That being said; I think there are some artists that make me look at London from a different angle and dig deeper. The Mercury Prize, for two years, has been given to London artists and it seems, to me, South London is the most promising and appealing area. From Florence + the Machine and Loyle Carner through to Kate Tempest (although she was born in Westminster); there is that intensity, innovation and curious mindset emerging from artists here. Another thing that strikes me about South London and its artists is that curiosity regarding sound; some nostalgia but a lot of what comes from the streets. 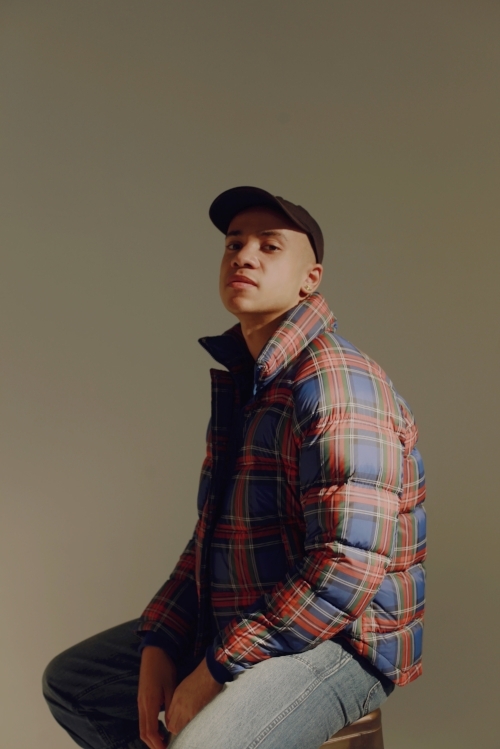 Louis Centioni seems to be in the same sort of headspace as the likes of Loyle Carner – even if his own music has a different taste. I am interested, in the very least, at the different sides to London and how you get different music from each part. I have discussed artists who seem very samey and how the modern seen can be rather bland but, with Centioni, you have this songwriter who has half a mind in the present but is always looking back. You know he lives a very honest life and integrates sounds and memories from the streets on which he lives and walks into his blend. You get a real sense of authenticity and purity in the music and the story of his latest song, whilst common and not completely out of left-field seems to stem from something relatively unexplored and under-exposed. If you want to break away from the rather predictable and common sludge of underground music – how you can get the same thing from the same artists – then you need to investigate artists like Louis Centioni. I can get a real sense of where he walks and his daily life but you also get that combination of his favourite childhood music and sounds emerging from the modern-day scene. This is an interesting splicing and combination that makes the music weighty, impassioned and colourful. There is a lot to unpick and get involved with and you do not feel like Centioni is making music to fit into holes and follow anyone else. I mentioned how I would mention songs and there themes. I love what Centioni is putting out and would be quite hard on him if his music sounded like anyone else. One of the reason I have mentioned bands like Beastie Boys – and older artists – is because you got original stories, wit and a sense of fun in their music. Modern music has lost that adventure, smile and sense of diversity and it is one of the most depressing things. Artists have become more insular and personal and, for the most part, songs seem to be about heartbreak and break-up. Not all artists focus on this but it seems the majority do – and we have very few innovators and acts that remind one of the classics and have any sort of fun. For a lot of artists, this is a bad thing and they can be rather lumpen and clichéd. I mention this topic because I understand why Centioni writes like this. I know his talent and innate drive can lead him to areas that project fun, incredible stories and something off the grid but he is reflecting what he is about and what he is experiencing. You can understand the need to write about what is meaningful and happening in life but I sense a mind that wants to break free and wander into other lyrical areas. In any case; you might look at Here I Go Again and what it is about – the break-up of a solid relationship and that sense that there is a pattern forming – and feel like nothing new or special will emerge. I would say the vast majority of modern artists are talking about love for the majority of the time and many of them repeat what is already out there. It sounds like I am preparing to boot Centioni’s bottom but, in fact, I am impressed he has written something accessible and relatable but brought it to life in a new and challenging way. Not only is the music a lot bolder and more eclectic than the modern palette – artists tending to match a rather dour mood with a similar compositional state – but the lyrics have a sense of personality and identity that does not make one feel like we have heard it all before! I feel other artists can learn from this and should take guidance as to how to break from routine. 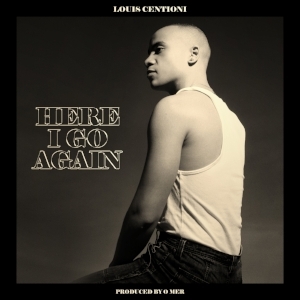 There are two distinct musical styles clashing in Louis Centioni’s current track. 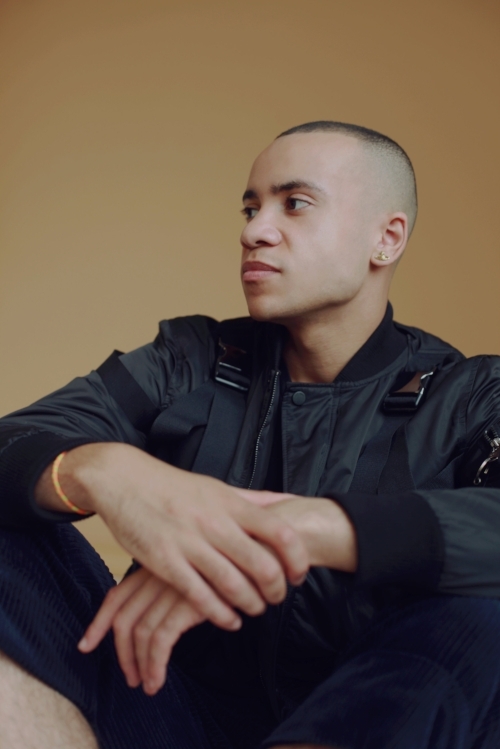 Here I Go Again has a distinct Electronic vibe that seems to borrow from the London streets and has a distinct ambition. The sounds are intense and they shift course; there is a flavour of modern Electronica but you can hear Jazz elements coming through. Whilst many artists with a fondness for Jazz are a little hesitant about penning a classic Jazz standard – think of Miles Davis and John Coltrane – they are bringing the colours and ethics of the genre into their sounds. The backbone and blood of Louis Centioni’s current jam is Electronic and is primed for the mainstream but there is experimentation and shifts that can only come from a love of Jazz. The reason I want to mention the genre is because, through time, it has been maligned and overlooked. We always get this view Jazz is rather stuffy and serious and can be quite boring – endless trumpet solos or pondering songs that really do not say much. I think it is the lack of vocals that scare people and means you have to use a different part of your brain; you need to focus more and it can be hard transitioning. Modern Jazz-inspired artists like Thundercat and Kamasi Washington are hugely important and, in fact, there is a band of British Jazz artists who are taking the foundation of the genre and adding fire, intensity and something exciting to the party. Centioni took to the piano young but it was his grandfather’s collection if Jazz and Italian records, that he was exposed to at the age of four, that made the difference. That innate and tender connection with a passionate and strange world filtered into his blood and directed where his music would head. The songwriter has taken singing lessons and is inspired by Classical music. It is the Jazz love that gets to me. Listen to his latest track and you can tell there are different Jazz artists working away. You get the accomplishment and stature of early icons like Miles Davis but, with the electronic notes and intensity, there is an experimental aspect that reminds me of the modern-day Jazz players. One gets world colliding and colours uniting through music that has a common and accessible heartbeat. Centioni attending the BRIT School and that created a sense of discipline and gravity. This combination of the Jazz romance and special world, blending with London and a musical school has led to this wonderful concoction. I feel a lot of modern artists look too closely to what is around them and you feel they are aiming to replicate and simulate a familiar sound. Rather than take from their personal lives and take risks; so much of what is out there today is dictated by commercial needs. Maybe that is a bit all-sweeping but I am discovering few songwriters who take gambles. Louis Centioni has an eye on the mainstream and knows what is needed to gain an ear but he is much more indebted to his grandfather and the music he grew up around. Mixing more modern influences together with that early exposure to Jazz; one gets a real hit and sensation. I am often wary of people who go to music schools and institutions that stamp out a particular artists. Whilst the likes of Amy Winehouse managed to stand alone and not do what is ‘expected’ – being overly commercial and following what is in the charts –; alumni like Adele – whilst her voice is powerful – lack any sort of flair, intrigue and real promise. So much of what is coming from these schools is dictated to by commercial gain and fitting into the charts; being too accessible and, let’s face it, a bit boring. Those who can take the good aspects from their teaching and not abandon their roots are to be commended. Centioni is someone who has learned a lot but does not want to compromise his passion and tastes in order to follow blindly. Away from the rather predictable storylines of heartbreak and disappointment; it is the ethics and background from Centioni that appeals the most. There is one danger that could have been exploited but, luckily, has been avoided. I am one of those people who looks back on music and recalls the stuff I grew up around. The dreaded curse of nostalgia can make us all a bit restrictive and means we do not wholly accept modern music. Maybe we romanticise the past and feel like there is much quality now. Whilst I will always contest decades like the 1990s will destroy anything that is around now and ever will be; there are so many artists coming along that have the promise to remain and create for years to come. Louis Centioni could easily have replicated what he grew up around and not added anything new to the pot. I know he buzzes from the records he discovered at a young age and some influences are on his sleeves. One gets a distinct whiff or the classic and past in his music but, at all times, the man is looking forward and inspired by what is at his feet. Rather than dip back and try to repeat what has come before; he is looking forward and not falling into that trap. This is impressive to see and I know we will get a lot more from Centioni. It sounds like I have been a bit strict with my investigation and assessment but there are so many artists around that seem cloned, common and faceless. Maybe it is unavoidable but I do get weary and wonder, cruelly, whether limitations and standards should be set – only those most promising and profitable can cross borders and reside in modern music. In order for future generations to follow the music of now; there needs to be that sense of promise and longevity. As it is now; there is a lot out there and I wonder how much of it we can retain. I forget so much of what I listen to because there is something missing and it is not as sharp and dynamic as the music I was raised on. Artists like Centioni understand this and, as such, have taken care to make their music as bold and busy as possible. Listen to a song like Here I Go Again and you have so much working away in there! I think, oddly, T.V. and drama has made that happen. It seems like a strange point to raise but many artists are not recognising the potential when it comes to film and T.V. By that; I mean bringing dramatic and comedic elements into the music. There has always been that bond between T.V. and music – songs being played as soundtrack – but few modern artists take a more dramatic and T.V.-minded approach to their songwriting. They might pen songs that can end up on dramas but do not take guidance from those shows and incorporate that into the fold. I know Louis Centioni is a fan of the Netflix series Stranger Things and you can hear that extraterrestrial theme coming through in his music. I have talked about his grandfather’s influence and one would think that rather charming and romantic vision would not fit alongside a darker and different world like that of Stranger Things. Rather than wrote a song that could appear on the show and be discovered by chance; the songwriter has been directly inspired by the strangeness, spacey elements and drama that the show puts out. As such; you get this song that starts from different foundations and takes a different course. Consider how most songs are written. Artists might get a melody or lyric in their mind but this is often compelled by music itself or what is happening around them. Few will sit down and think about a T.V. drama and write from that perspective. Maybe that is way of adding interest, fun and something much more memorable into music? As Centioni shows with his current single; there is a world of inspiration out there that is not being mined! I hope he continues to write like this and add something cinematic and dramatic into his music. I have talked long enough about the man behind the music so it is best I reverse that and discuss the music inside the man. The hero begins Here I Go Again by talking about something he cannot reclaim and gather. Maybe he has been through the motions too often and knows full well this current situation is inhospitable. The words are not delivered in a rather average and straight way. Soulful and deep; there is a brief flow and then a pause; the true emotion is brought through and Centioni approaches delivery much like an actor would – speaking like a human going through pain as opposed a songwriter presenting their emotions. Because of this, the song makes an instant impact and you wonder whether the composition will rise and explode. The start is fairly calm and there is little intrusion from the background. You listen to the delivery of the words and it is the way they come through that get to you. Centioni stop-starts and you get this very physical and evocative sensation. I jumped into the song and followed the hero as he walked us along. Centioni has this way of singing almost like a Jazz musician would play. The background has this Electronic and modern force but the man at the centre is interpreting and telling his story like an icon. That might seem a strange conclusion but this is a resonance and element that comes from the voice that gets under the skin and hits you. It seems like the hero has been told of the dangers of giving his heart and it seems like those words have fallen on deaf ears. I guess everyone experiences bad love and heartache but they assume the same will not happen again. I suppose a new person promises different fortune but maybe people like Louis Centioni are attracted to a certain type and enter a bond with faith and promise. The chorus layers Centioni’s voice and there are percussive clicks; the composition broods and injects whilst there is a warmth that floods through the speakers. You support the hero because he has given so much and, again, seems to have come out as the loser. Maybe there is a sense of mistrust or his sweetheart has let him down – that is not revealed at this point. I have mentioned Jazz and the influence on Centioni for a number of reasons. Not only does one sense a certain discipline and sound that reminds me of Jazz greats but the composition seems to have a certain vibe. It is hard to put into words but Centioni has managed to bring a lot of Jazz’s colours and elements into a largely Electronic background. When the chorus hits and you hear the vocals layer; there is that freedom, lust and atmosphere that you get from great Jazz songs. Our man has been bruised and seems accepting of his fate but keen to cure this miasma. Centioni drops his words in and allows them to hit like rain before moving on. You get, because of this, a more emphatic and impactful hit because you are allowed time to absorb the words and let them hit. Maybe there is blame on both sides and that mystique regarding the reason behind the breakdown makes me wonder. How have things gone wrong and why have the lovers been split?! The hero is not blaming anyone but it seems like people have predicted the end and given these warning messages. Rather than blame and create a depressive mood; Centioni is picking up from the rubble and looking inwards as to why this keeps happening time and again. One gets rushes of legendary R&B and 1990s songs but there is that modern production and Jazz undertones that makes Here I Go Again spike and sparkle. Centioni is in this mire and seems to be unable to release himself. The sweetheart does not care about him and, backed by bold and exciting electronics, he is having his say. Maybe there is that emotional detachment but both have climbed high and there have been some good times. Above all of this; the heroine has only looked out for herself and seemed cruel to the touch of the hero. 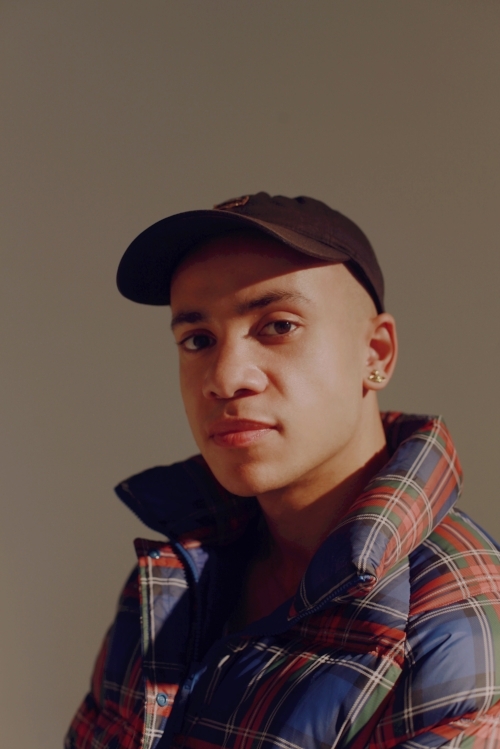 Centioni does not incorporate too many of the worst traits of modern Electronic music – processed and high-pitched vocals; although there is a bit of it – and allows his own voice to have the biggest say. His previous track, Unsure, is a very different beast to Here I Go Again and you can hear the changes and new confidence come out. I wonder whether more material is coming next year and whether Centioni will put together an E.P. that tells a story – it seems like his latest track, in a way, is a continuation of his previous offering. I love Here I Go Again and it could easily have fallen victim to the traits of some artists: being too depressive and introspective and not adding anything exciting or physical to the music. Instead; you get this rousing and passionate song that manages to talk about a breakup and let-down but does not let the angriness and sadness dictate – a rarity that should be followed by more artists! ARE getting harder to find.